Having recently figured out whatever happened to predictability, the milkman, the paperboy, and little Michelle, Netflix has moved on to bigger questions, like how a family presumably trained for traveling through space could get lost in it. The answer to that is actually sabotage, courtesy of the worst travel companion ever. 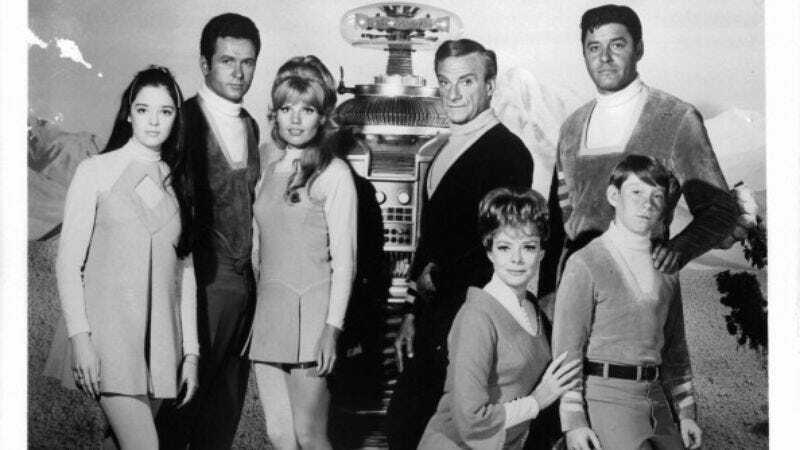 To gear up for its Lost In Space remake, the streaming giant has just cast the first Robinson family member. Deadline reports that Falling Skies’ Taylor Russell will play Judy Robinson, the eldest child in the astronaut clan. The 19-year-old Judy was played by Marta Kristen in the original, but with Heather Graham in the role in the 1998 remake, she became Dr. Judy Robinson, the better to pair with Matt LeBlanc’s Major Don West. But given that Russell’s most recent project was the Unauthorized Saved By The Bell Story, showrunner Zack Estrin (Prison Break) is probably planning to go back to Judy’s teen years. Russell’s the first cast member, but it won’t be long before Netflix begins auditioning various Guy Williams and/or William Hurt-types to steer the course. Dracula Untold scribes Matt Sazama and Burk Sharpless are already on board to write the series, which is coming to your devices in 2018.